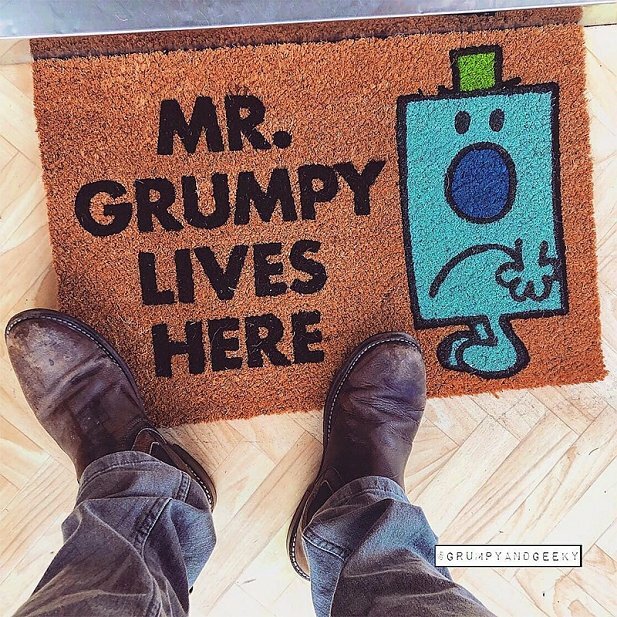 This sounds suspiciously like Mr Grumpy lives here. 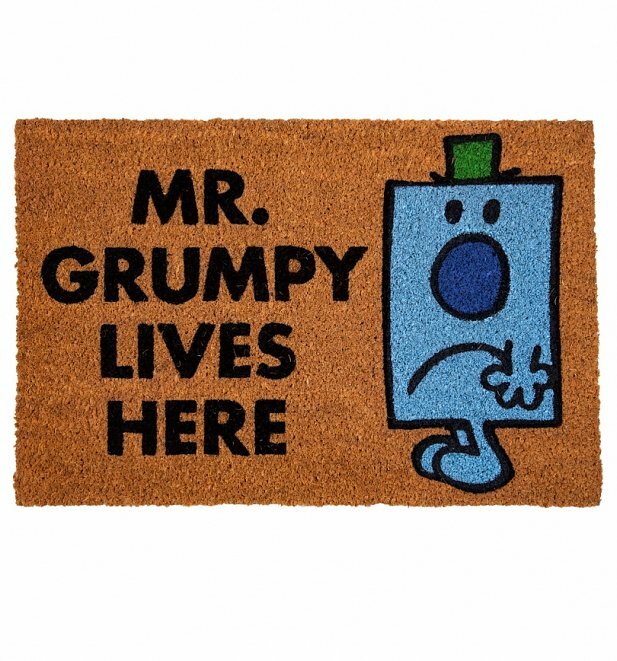 Our exclusive Mr Men doormat welcomes (!?) 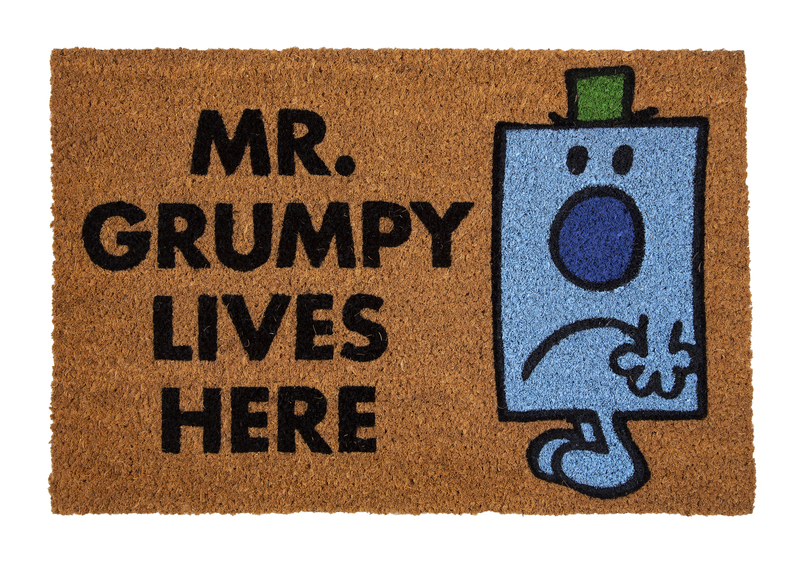 guest in style, with some added Roger Hargreaves appreciation. 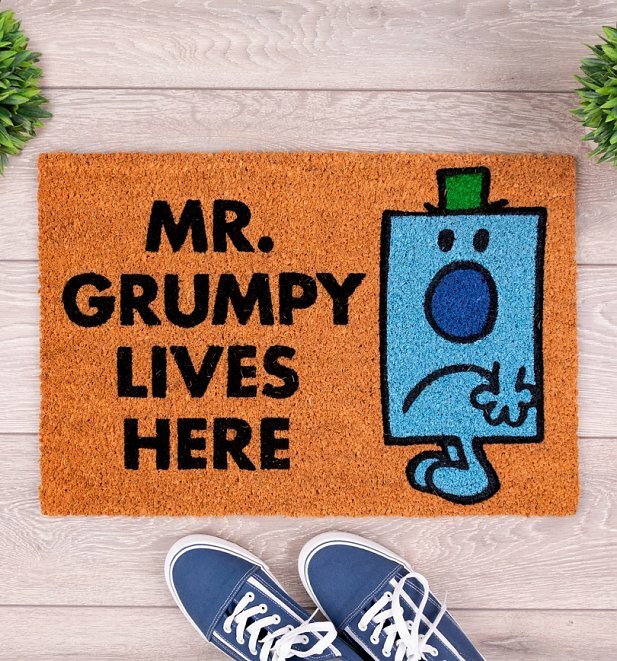 26012Exclusive Mr Grumpy Lives Here Door Mr Men Mathttps://www.truffleshuffle.co.uk/product_images/TS_Mr_Men_Mr_Grumpy_Lives_Here_Door_Mat_19_99_Creative.jpg19.99EURInStockGBP/mens/women/homewares/fairytales-and-books/80s/gifts/gifts-for-him/gifts/door-mats/cartoons/mr-men-and-little-miss/homewares/outdoor/mr-men/70s/fathers-day/truffleshuffle/beige/in-the-press/exclusive/blue/gifts-under-2019.9900Knock Knock! GO AWAY!